Designated Canadian Research University of the year 2011 and 2013, Université du Québec à Rimouski is a comprehensive French-language high education institution firmly rooted in Eastern Québec. 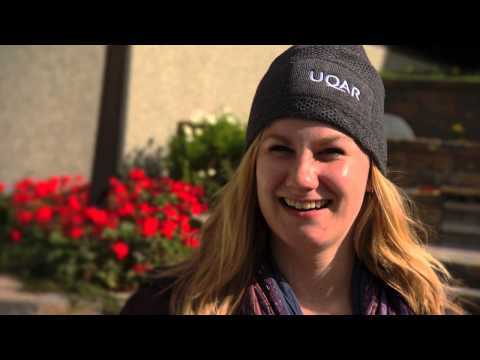 Established in 1969 in the Ursulines Monastery, UQAR is part of the network Université du Québec, the largest university network in Canada with over 92,000 students. With its attractive undergraduate and graduate research and teaching programs, UQAR welcomes over 7200 students each year, about 450 of whom are international students from over 37 countries. It has one of the province's highest success rates and its graduates are widely sought after by the employers who recognize the quality of their training. The drive and creativity of its hard-working faculty have earned the university an international reputation for research. Besides, UQAR researchers hold a high number of research chairs, have major project funding and publish high impact articles in peer-reviewed journals, including Science and Nature. Over time, certain multidisciplinary fields have become areas of research excellence around which UQAR has made a name for itself, such as Marine Sciences, Regional Development, and Nordicity, the university's three main areas of research. The area of research Nordicity focuses on understanding the evolution of continental and coastal environments subject to cold climates to meet the major challenges of the 21st century in the context of planetary change. Acclimation of geo-ecosystems to climate change, and the evaluation of the natural hazards associated with environmental change are two of the main issues under investigation. The multidisciplinary approach to teaching and the synergy between basic and applied research also play a unique role of catalyst within the institution. Multidisciplinary expertise, quality research laboratories, state-of-the-art equipment, a rich natural environment, partnership projects, opportunities for fieldwork, and hands-on internship combine to make UQAR an ideal study and research environment for guest researchers, students, and posdoctoral fellows.